Technology is science made useful – well, that’s my excuse for posting this item, and the next, about two inventions that could impact cycling. Also, it’s hard to lose the habits I acquired as a budding news hound and I’d like to think I’m the first to bring them to a wider audience. The first technology is that most mysterious of components – the hub gear. I guess it’s only enigmatic because it’s one of the few bits of a bike that you can’t see working. Those with oil under their nails and a lot of free time have probably taken them apart to understand exactly how the cogs and wheels interact. Me? I have the nails of a dilletante and the free time of a Mayfly. Ben Cooper, though, knows more about these things and has kindly shared some of his knowledge with my via his tweets. He’s given me some background which helps to substantiate my suspicions that a new, humungous 16 speed hub gear is on its way. I first got curious when I came across an academic paper (as you do when you’re me) published in Applied Mechanics and Materials. It covers a broad range of topics, including the updraft power of a solar tower, packaging and hydrology – but you, as a regular subscriber, would know that anyway. Then, in its online edition of 25 January 2013, my eye was drawn as if by sorcery to a paper by Yi Chang Wu and Pei Wun Ren. I’d never come across their work before and forgive me if it’s not new to you, the regular subscriber. It seems that Wu and Ren have been hard at work analysing hub gears. Not just any old hub gears, but enormous ones with 16 speeds. I’d never heard of such daring. 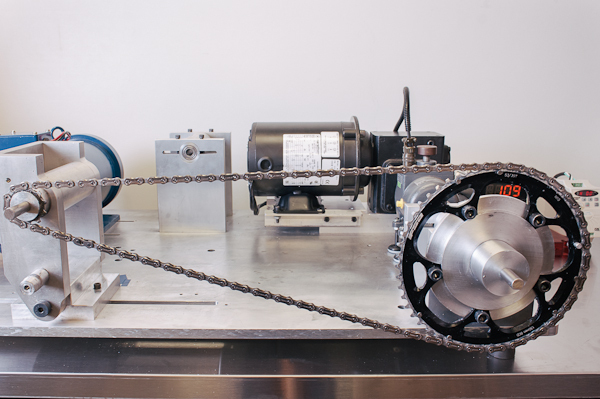 Their paper, “Mechanical Efficiency Analysis of a 16-Speed Bicycle Transmission Hub” does just what it says on the tin. You, the regular subscriber, have probably digested it already but to me it was a revelation. 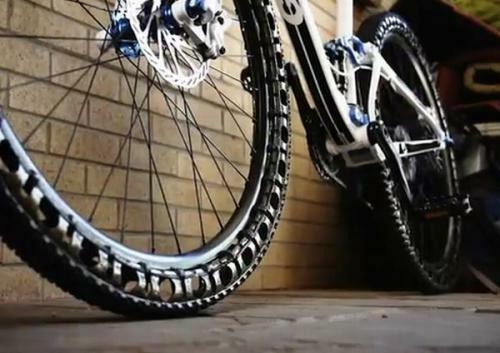 It showed that people are actually thinking of cramming 16 planetary gears inside the hub of a bicycle wheel. Heavens to Betsy. That could be so helpful for commuters in hilly cities and touring tandemists. Why has nobody every thought of it before? Actually, it turns out they have. The very same Yi Chang Wu, then working with Shi Liang Lin, had written about it some two years previously. How I’d overlooked their paper “Conceptual Design of a 16-Speed Bicycle Drive Hub”, published in the March 2011 edition of Applied Mechanics and Materials, I’ll never know. I must’ve blinked. And this is where Twitter came to my aid, in the generous form of helicopter and bicycle builder Ben Cooper. He gave me some history – saying that there had been speculation that Sturmey Archer had been working on just such a design but it was shelved when the company was bought by Sun Race in 2000 and all assets and production were moved to Taiwan. That, for me, was enough to fantasise wildly. Sun Race is designing and making Sturmey Archer hub gears in Taiwan. Sturmey Archer’s assets may well have included designs for a 16 speed hub gear. 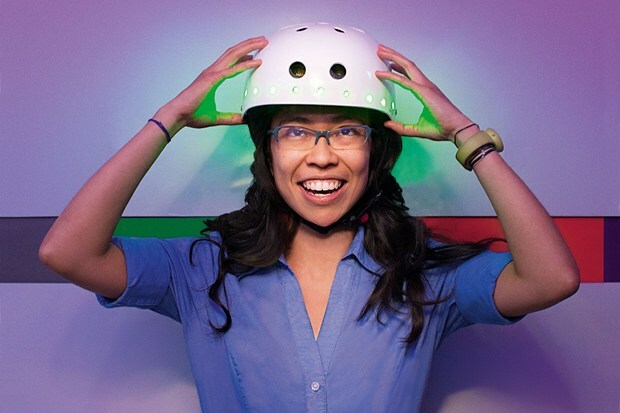 Two papers co-authored by Yi Chang Wu are published about research into a 16 speed hub gear. Where is Yi Chang Wu based? Taiwan. Putting it all together, in the excitable way of someone who has never looked inside a hub gear and whose own brain cogs are beginning to jam, the future of the world seems clear. Any day now Sturmey Archer will be launching a 16 speed hub gear – if they haven’t done so already by the time you read this. Remember where you read it first. 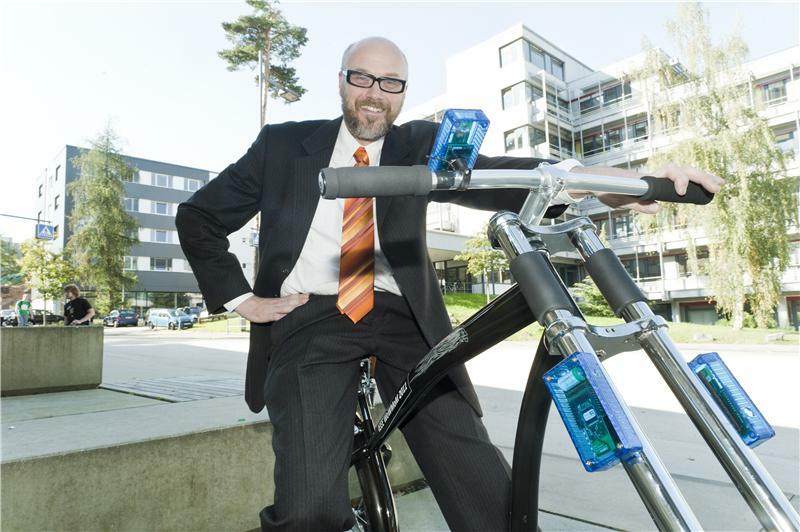 If you got carried away reading this as over-enthusiastically as I did writing it, you may like to check back in a few days to read the forthcoming post about the second new technology I’ve found that should soon benefit cycling and cyclists. When we organised the first commercial mountain bike event in the UK there was just a small nod towards sustainability. It was, to be frank, pathetic – all we did was include directions to the venue from the nearest railway station. Of course, most of the 700 spectators arrived in mortorised vehicles. Many of them did the 120 mile round trip from London, in cars that didn’t have catalytic converters, they drank fuel at 25 mpg and used leaded petrol. It was 1984. We’d kidded ourselves that ours was an Earth-friendly event simply because it involved cycling. Thirty years on, we know better (see the previous post). So, how best to organise an event that has no impact on the environment? We’re not talking about carbon offsetting, the cop out that’s used by the motor racing circus called Formula One. We’re interested in genune zero-impact events – and there’s nothing to stop you from still paying an offsetting outfit to plant some trees, to boot. One of the biggest contributors to an event’s carbon footprint would be travel. So, in a perfect world, events should be restricted to entrants who live within a short distance. How short is short? Ideally it could be reached by bike easily in an hour or less. That gives a radius of maybe 12 miles and an area of 450 square miles. If you can’t attract enough participants from that area within Western Europe or the eastern seaboard of the USA then maybe you shouldn’t run it. For some, in the more remote places, the next best option would be to restrict entry to those who travel by public transport – and I don’t include flying. In fact, rail travel is the only credible method for many because buses and coaches tend to reject bicycles as luggage. If even that is tricky, event organisers could hire coaches that will carry bikes, and include the fares in the entry fees, along with a supplement large enough to offset the carbon several times over. Granted, these may seem extreme and naive. For something a little more considered, see what the Council for Responsible Sport has done. They’ve devised a sophisticated method for encouraging organisers to reduce their events’ impacts on the planet. But precious few cycling events have ever applied for certification. Executive director Kevin Peters tells me it may be because “cycling events take sustainability for granted”. That’s sad. It’s pretty much where we were in 1984. One of the most surprising things I stumbled across when researching Cycling Science was the potential application of plasma to cycling. As has been frequent in recent year, I have to thank Bob Jones (names changed to protect the innocent) for not only pointing me in the right direction but also giving me a good shove to get me there sooner. 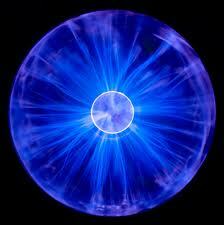 Plasma is the fourth state of matter. Most of our bikes are made of solid matter and our riding would be very uncomfortable without being able to put gaseous matter into our tyres. Liquid matter is becoming more common on bikes as hydraulic brakes are being fitted to off-road, commuter and road bikes. But plasma, well, I’d thought that was only for oversized TV sets or blood transfusions (which, incidentally, are mentioned elsewhere in the book). Then I went for a ride along the seafront with Bob. I’d known Bob for 25 years. Well, I’d known him for about six years, when he was a keen young racer. He stayed in the sport and I didn’t so I lost contact. Some 15 years later he tracked me down and hauled me back into writing about bikes once more. Yes, the book is his fault. But this is a no-blame blog and Bob’s idea that day on the seafront was to lend me a small-wheeled e-bike that gave me the acceleration and speed of a sleeping donkey. Then he mentioned plasma. He said he didn’t understand it. He said it sounded quite fantastic. He gave me a name and a number. I rang it and asked about plasma. The man explained. I understood it. It was fantastic. The explanation is in the book. Plasma could make you ride faster. Of course, it’s still a concept and hasn’t even been taken to the prototype stage. But the theory’s good and the technology is part-way there. So it’ll only be a matter of time before the UCI bans it.